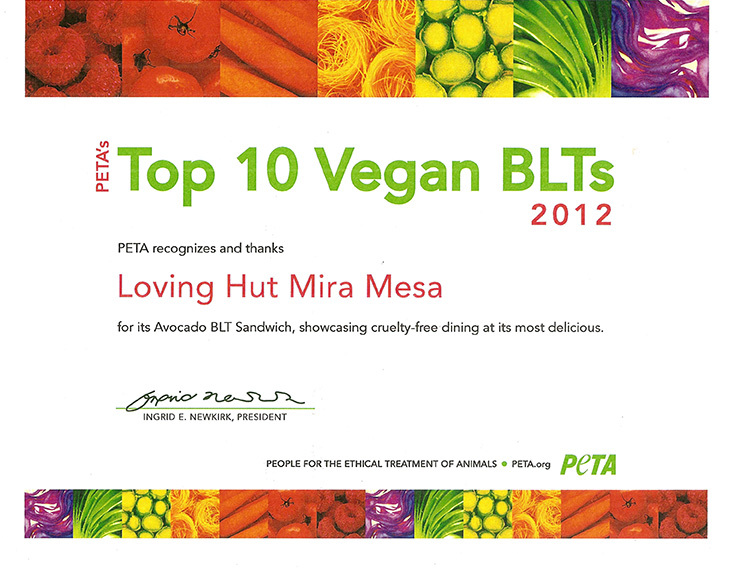 won the Award 'Top 10 Vegan BLT in the Nation' from PETA in 2012. The media built a lot of hype about a possible “aporkalypse,” warning that bacon could all but disappear. Besides the fact that a bacon-free world is a vegan’s dream, we saw one more reason not to go hog wild: Vegan BLTs are better—and kinder!—anyway. Get your BLT with vegan tempeh bacon, lettuce, tomato, and Vegenaise at this beloved vegetarian/vegan food cart in downtown Portland. For an extra bit of flavor, add avocado or choose from two kinds of vegan cheese. 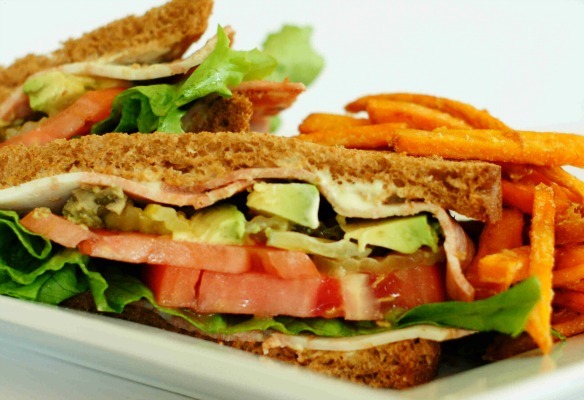 Served on rye bread with fresh lettuce, tomato, onion, and tempeh bacon, all held together with some fresh avocado, the Darbster’s BLT is well worth your lunch hour. Leave it to Texas to do things a little differently. This sandwich features “bacon” bits, lettuce, and tomato served on grilled multigrain bread with vegan mayo for what Spiral Diner & Bakery calls a “simple and delicious” sandwich. Who says BLTs are just for sliced bread? Yorgo’s Bageldashery joined the veggie BLT club with its own variation, served up on a bagel with its delicious herbed Vegenaise. Add onions, sprouts, pepper relish, capers, or horseradish to make it your own. Vegan food, live music, and 25 beers on tap? Nothing could make this tempeh-bacon, lettuce, and tomato sammy taste better. Enjoy your toasted sammy in the land of lagers. Stacked with the basics—vegan bacon, lettuce, and tomato—plus avocado and pickles, this delightful sandwich is served on toasted wheat bread with the Loving Hut’s house sauce. Enjoy it with a side of fries. Renaming the BLT a “TLT,” the Green Owl has created a vegan version, with smoky baked tempeh, lettuce, tomato, and avocado served on Madison sourdough wheat bread. A dab of vegan aioli makes it exceptionally tasty. Prefer tortillas? Try this BLT wrap, served with char-grilled tempeh, vegan cheddar, guacamole, tomatoes, and shredded romaine lettuce wrapped in a whole-wheat tortilla. Sticky Fingers Sweets & Eats, Washington, D.C.
Sticky Finger’s vegan cuisine is modeled after traditional comfort foods, and this sandwich is no exception. The tempeh bacon, lettuce, tomato, and Vegenaise make this sandwich all good, without the guilt. 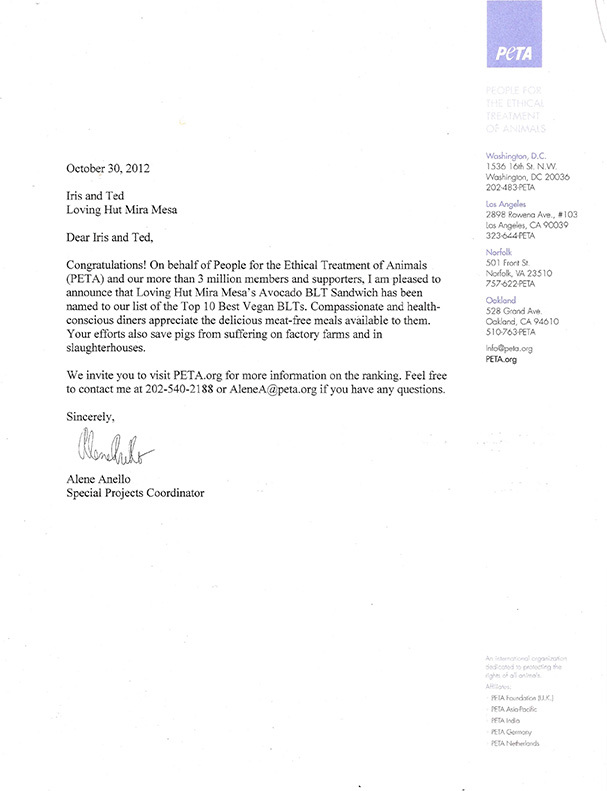 No need for animal ingredients! Sugar Apple layers “fakin’ bacon” with lettuce, tomato, and soy mayo on whole-grain bread for a delicious and cruelty-free sammy. This local fave in Austin is dubbed “The Wanna-BLT” for its delicious homemade tofu “bacon” served atop green leaf, local tomatoes, and basil aioli on grilled artisan sourdough. Add red onion or sunflower sprouts to keep it weird.